It is totally reductive to describe Kate Bush as a leotarded kook with starey eyes, a piercing voice and twitchy dance moves, but it’s understandable enough that this is the version of her that has been trapped in the amber of folk memory. It is of course a reasonably accurate description of the physical figure she presented in the prolific early years of her career, who now lives on, ageless, on the internet. Bush has always had a kitsch appeal that has a complicated relationship to her musical appeal, probably because it’s easy to understand the kitsch and difficult to really understand the music. I'm not sure I've ever really read anything that’s cracked the power of ‘Wuthering Heights’ (the song), but easy enough to comprehend ‘Wuthering Heights’ (the video). In the beginning she was seen as a prodigy, not an enigma, but this would change as she gradually faded from view. The touring stopped first, the interviews became less frequent and less revealing; eventually, after 1993, she dropped out of sight altogether, only reconnecting with the world unexpectedly, at great intervals. We are currently experiencing a minor reconnection. There is no new album, or live show, but there is, How to Be Invisible, a book of her lyrics, plus her albums remastered and reissued as three boxed sets. Part of me frets this ordering of her legacy might be a coded retirement – would she do this if a new record was underway? The less tinfoil hat bit of me notes she has always tinkered with her back catalogue, and that there’s probably no higher meaning beyond some fairly typical pre-Christmas action from a heritage artist. Anyway, whether by accident or design, Volume One binds the leotard years up as a distinct phase. The Kick Inside, (1978), released when she was just 19, and The Dreaming (1982), which came out when she was 24, are vastly different records, but they were marked by a relatively cohesive aesthetic that she’d largely leave behind afterwards. I am banging on about leotards because again, it’s much easier to stick to mundane facts than actually explain Kate Bush. And ‘Wuthering Heights’, her debut single, most famous song, and sole number one, sounds borderline comical if you stick to the mundane facts. You can call it a musical adaptation of Emily Brontë's sole novel, but is that really why it works? It’s easier to laugh it off as an eccentric endeavour than really interrogate its power, than admit the way she sings the word "window" is genuinely astonishing, than contemplate the fact she’s somehow drilled her way into deeper emotional chambers simply inaccessible by most artists. I think maybe the key to ‘Wuthering Heights’ - and most of her music - is that it goes too far: the voice, the dance, the subject matter; anybody else would have stopped way before; it’s Wagnerian in scale and intensity, only tangentially bound to the mortal form of a pop song. It’s beyond most artists’ imaginations to write this sort of stuff, and I think it’s beyond most writers’ imaginations to write about this sort of stuff. I am absolutely including myself in that, btw. But her PR has sent me these lovely vinyls and I guess I need to pass critical comment, so here we are, maybe let’s not drag this out. The Dreaming is a completely exceptional record, an avant-pop tour de force that has been on some level misunderstood by more or less everyone (including, I'm sure, me). Even glowing retrospective reappraisals tend to underestimate it - I’ve never seen anybody seriously engage with the title track beyond noting that Bush attempts an Australian accent and offering the opinion it doesn’t really work. I honestly differ: her scathing attack on white Australia’s treatment of the native population has a cataclysmic momentum - the thud of percussion as she intones “erase the race that claimed the place” is for me one of the great Kate Bush moments. And is it an Australian accent? In a literal sense it clearly isn’t; I guess it is arguably an interpretation, perhaps somewhat gauchely filtered through aboriginal ritual, but surely it’s another daring, visceral musical experiment - Bush’s voice, synonymous with piercing pitch, tuned into something guttural and pounding. I wonder if its poor rep still comes from that difficultly in talking about Bush in terms that don’t sound amused - she does things nobody else would do, and within the woefully limited palette of English pop criticism it’s difficult to describe a lot of what she does with the same po-faced respect afforded to a thousand lesser artists writing vastly less imaginative music. I kind of want to write more on The Dreaming but don’t want to get bogged down going through each song, which is a problem because each song is astonishing. The sheer vividness of her writing at this time i just mind-blowing: there are songs about bank jobs, Houdini, Vietnam, and ‘The Shining’. And the musicality and production are staggering: ‘Sat in Your Lap’, with its furious sampled drums and sudden, screeching jump cuts, absolutely deserves to be recognised as one of the great post-punk singles. After all that excitement it’s worth ending with the drab postscript that these are remastered reissues. To these cloth ears - and accepting I have reviewed these editions off vinyl but have previously listened to these records off MP3s ripped from CDs like a philistine - the albums now sound a bit louder and possibly crisper but not really revelatory. I’m naggingly aware that feels a tiny bit dismissive: the records are remastered by studio perfectionist Bush herself, alongside James Guthrie. Nobody really knows what it is Kate Bush does most of the time - obviously she has devoted some energy to this. A couple of afternoons? A couple of months? A couple of years? I think maybe I'm just going to stick to Ockham’s Razor: she clearly hasn’t agonised over this a la Director’s Cut, and has more than enough self-awareness to realise how good this stuff sounded in the first place – good production is very much her ‘thing’, and the albums have not changed drastically. One last thing: the artwork for the vinyl reissue of Volume One is just the (gorgeous) cover photo from The Dreaming. 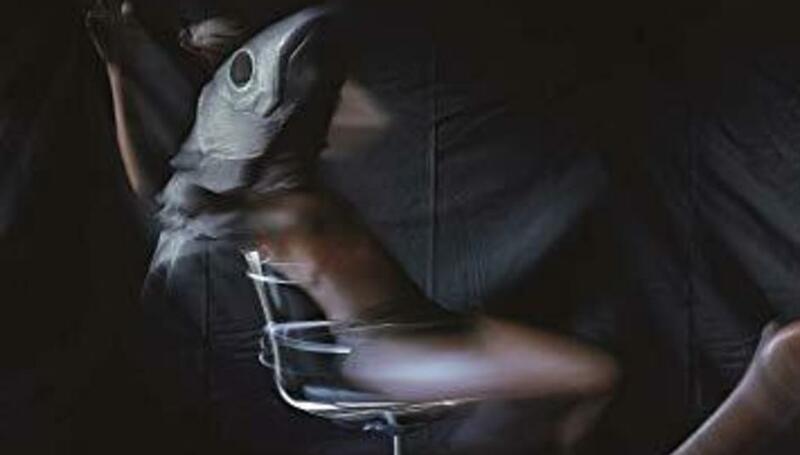 The CD is a blurry picture of a humanoid fish – one of the so-called Fish People that gives Bush’s record label its name. Seriously, what is with the fish? Is it a Lovecraft thing? A joke? Does it have any bearing on the music? When we think of this is the era she wore leotards, does the fish somehow define it for her? I'm absolutely not sure that it matters, or that any explanation we got would be useful. Her work is predicated on glorious unknowability – even if we could understand Kate Bush, I'm not sure we should.